If you’re looking for the best crockpot buffalo chicken dip then this recipe is for you! 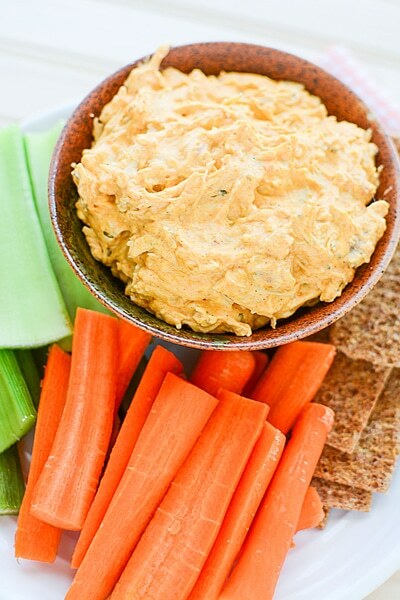 It’s the perfect dip for parties and holiday gatherings! 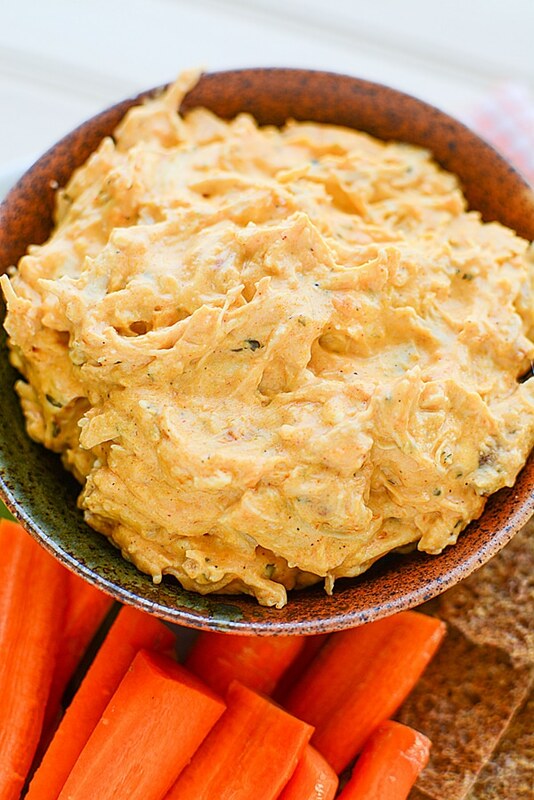 This Easy Crockpot Buffalo Chicken Dip is absolutely great for parties! Everyone will enjoy it and it has just enough “zip” to keep everyone warm during those cold, winter get-togethers! Even better, it’s easy and doesn’t require a lot of time to prep, which is always a plus in our book! If you’re getting ready to host friends and family for the holidays, or if you’re having people over for the big game, this is a great Buffalo Chicken Dip Recipe that can be whipped up in no time in the trusty slow cooker. Football Sunday just isn’t the same without chips, dip and chicken wings. But chicken wings can be a little tricky to make just perfect, so why not let the slow cooker do all of the work for you? That’s exactly what this delicious Buffalo Chicken Dip lets us do, so we can enjoy more time with the people we are hosting. Or, it means we don’t have to slave away in the kitchen when we are bringing over an appetizer for a party we’ve been invited to. It’s a win-win! First up? Head over to the store to pick up these easy ingredients that you’ll be able to grab in no time at all! Crock pot dip recipes are my absolute favorite. They are easy to make, don’t require a lot of effort, and the crock pot makes things almost impossible to mess up. It does all of the work for you! It just doesn’t get easier than putting the above ingredients together and simply sit back and wait for the slow cooker to make a yummy shredded buffalo chicken dip. And for those of you who dig that “hot” buffalo flavor, this buffalo chicken recipe won’t disappoint! Take a peek at the easy instructions below! In a 2 quart or larger crockpot, combine all of the ingredients that were listed above. That includes the shredded chicken, cream cheese, dry ranch mix, garlic powder, shredded cheese and buffalo sauce. It doesn’t get much easier than that! Once all of the ingredients have been added into your crockpot, make sure that you mix everything together well. That may be the most that this easy Buffalo Chicken Dip Recipe asks of you and I know that you’ll do it beautifully! Now that you have all of the ingredients mixed well and in the crock pot, it’s time to let the crockpot do all of the heavy lifting! Cover the crockpot and cook on low for 1-2 hours until hot and bubbly. This is the time when you can do everything else that you need to for your party, or it’s time for you to get ready to take your appetizer to the location you’re heading to. Talk about low stress! And just like that, you’re ready to go! 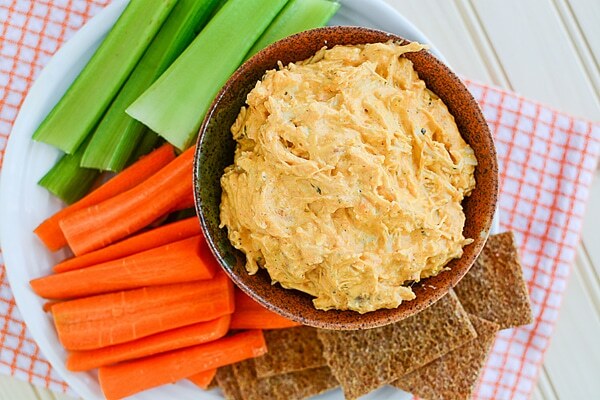 Serve this Best Buffalo Chicken Dip with your favorite chips, crackers or veggies and everyone will find something to eat it with! 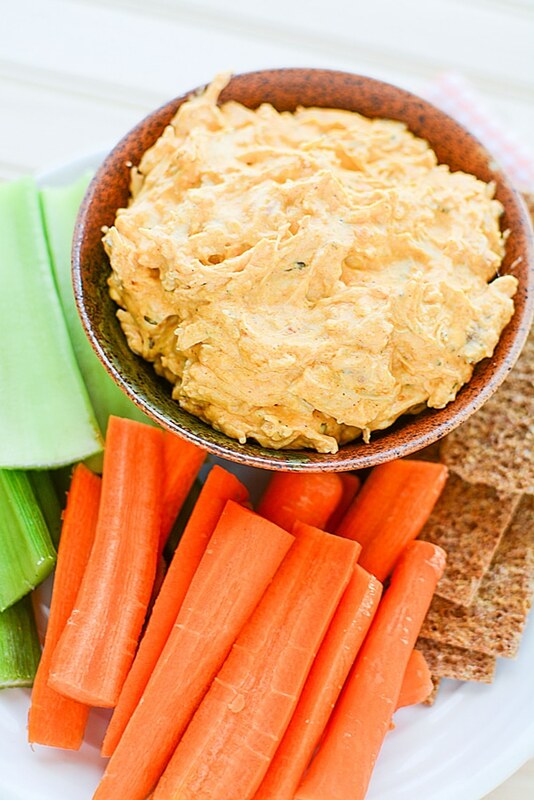 Who needs to bother with making the real deal, when it comes to Buffalo Chicken wings, when you have such a great dip recipe like this! I also love this easy crock pot buffalo chicken dip because it’s no problem at all to double up the recipe for a larger crowd. I love to find appetizers that are easy to make when I know that I’m heading to a large party, or throwing a big bash, and need more than the single recipe ingredients. 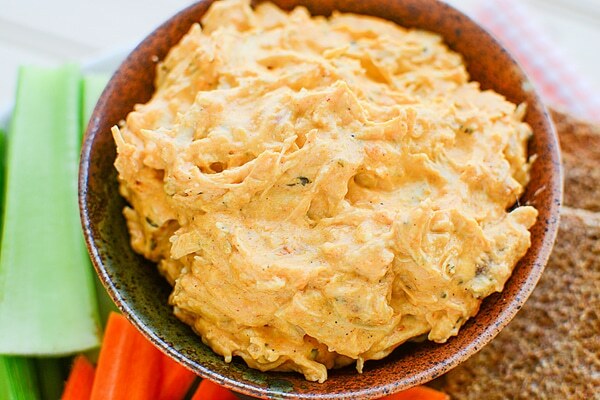 Not a problem at all with this Easy Crockpot Buffalo Chicken Dip! There are some great tips I want to make sure you are aware of when making this delicious Buffalo Chicken Dip Recipe, as well! First, I prefer to use a rotisserie chicken, when possible. That way, the chicken is already cooked and it is so easy to shred it up. It saves so much time! 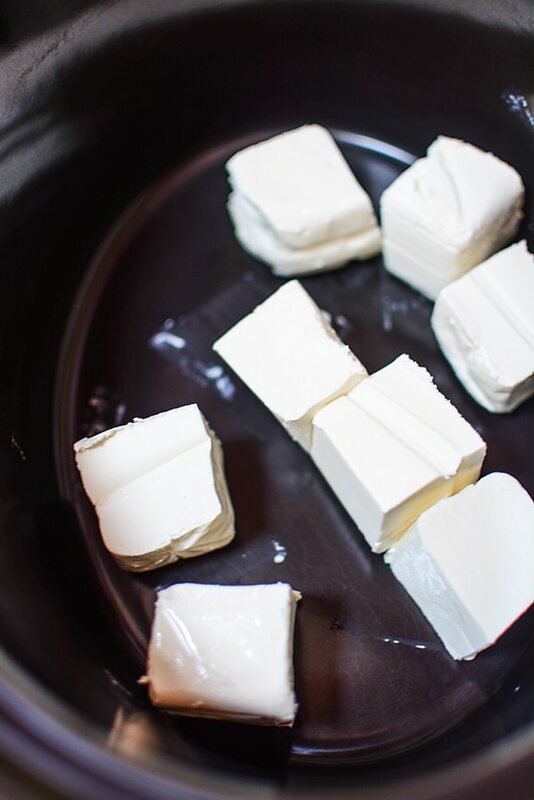 Next, the ingredients calls for your cream cheese to be cut into cubes before adding it to the slow cooker. You may want to also slightly soften it before adding it to the crock pot, as well. This will help to make sure that it melts smoothly and evenly into the Buffalo Chicken Dip. 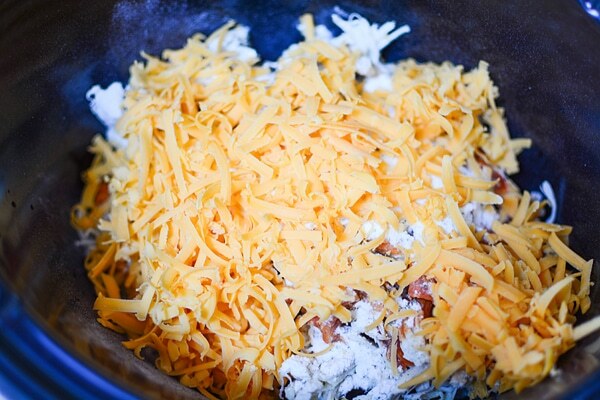 When adding your shredded cheese, you may want to consider using shredded cheese that you make straight from a cheese block. Freshly shredded cheese generally will melt much better than pre-packaged cheese, but if you’re short on time, the packaged cheese will work just fine. Also, while the ingredients call for cheddar cheese, feel free to use whatever best suits your tastes! Finally, it’s time to add the buffalo sauce! You can make the Frank’s Red Hot Buffalo Chicken Dip Recipe as spicy as you want, but you may want to ease in with 1/4 cup if you don’t particularly like the heat that the sauce will bring! After the dip is finished cooking in the slow cooker, you can always add more Frank’s Red Hot Buffalo Sauce to taste. 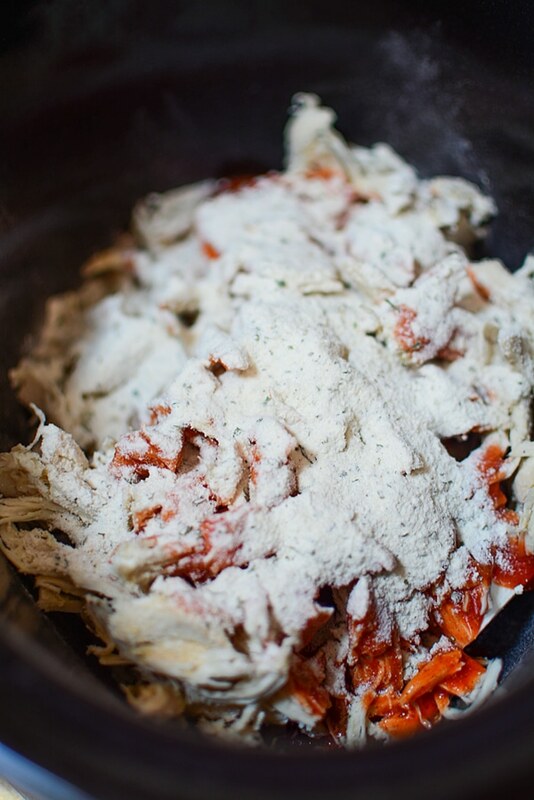 In a 2 quart or larger crock pot, add the shredded chicken, cream cheese, dry ranch mix, garlic powder, shredded cheese, and buffalo sauce. Cover the crock pot and cook on low for 1-2 hours until hot and bubbly. Serve dip with your favorite chips, crackers,or vegetables. And just like that, you’re ready for the big game or big party! No matter if you’re hosting, or you’re heading to someone else’s house, this crock pot chicken wing dip will be a huge hit. 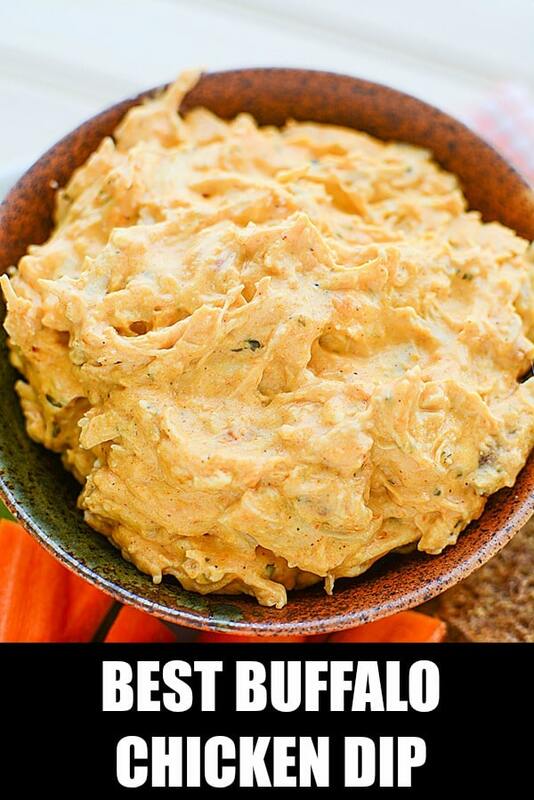 And if you are traveling, no worries, because it’s a great buffalo dip recipe that will travel well for your event. It doesn’t get any easier than this great crock pot dip recipe. It almost feels like you’re cheating because it’s so simple to create, yet delicious for all of the guests! For more party recipes, follow us on Instagram @prettymyparty and Pinterest and join us in our private Facebook group.